If I’m here, alive, and healthy, then my kids will be, too. When Piedad was diagnosed with prediabetes last December, she immediately thought of her three children. As a single mother with a family history of diabetes, she knew that the disease not only threatened her life, it also put her children at risk of losing their mother. “I didn’t want my kids to be alone if something bad happened with my health,” she said. In February 2017, CHW brought the Diabetes Prevention Program, a free class series provided by Scripps Health for residents with prediabetes, to our Las Serenas community. Piedad jumped at the chance to join. 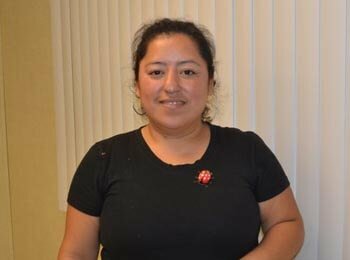 With health education and peer accountability from her neighbors, Piedad made big healthy changes to her lifestyle. She now exercises regularly with Zumba, five to six mile hikes, and cardio kickboxing classes. Her hard work is paying off. When she graduated from the program, she lost almost pounds! Piedad now shares the important lessons she learned at the Diabetes Prevention Program with her children, taking them for weekend hikes to exercise as a family and teaching them healthy eating through portion control and lighter meals full of fruits and veggies.